The Film Society of Lincoln Center has named three additions to its programming team: Florence Almozini, who will serve in the post of Senior Programmer under Director of Programming Dennis Lim, and Jake Perlin and Rachael Rakes, who have been named Programmers at Large. The new team will work with Lim on the Film Society&apos;s festivals, series, sneak previews, premieres, and special events throughout the year. As Senior Programmer, Florence Almozini will create and execute cinematheque programs as well as book new releases, in collaboration with Lim. She brings substantial experience and knowledge as a programmer, noted the Film Society Thursday, having previously held the position of founding curator and Artistic Director of BAMcinématek in Brooklyn. Under her stewardship, the repertory arm of BAM’s film program achieved a global reputation recognized for its bold curatorial vision, as a showcase for emerging American and international talent, as well as a platform for rarely screened films and classic cinema. Almozini has gone on to present retrospectives of the work of acclaimed and emerging directors and featured film anthologies of cinema icons such as Spike Lee, Paul Newman, Catherine Deneuve, Liv Ullmann, Manoel de Oliveira, and Andrzej &Zdot;u&lstrok;awski since launching the program in 1999. In 2009, after a three-year partnership with the Sundance Institute to present “Sundance Institute @BAM,” she launched the venue’s first-ever film festival, BAMcinemaFest, serving as Festival Director and head programmer. In 2013, Almozini joined the Cultural Services of the French Embassy, NYC as a program officer for Cinema and Tournées Festival and was awarded the Chevalier of the Ordre des Arts et des Lettres in 2013. 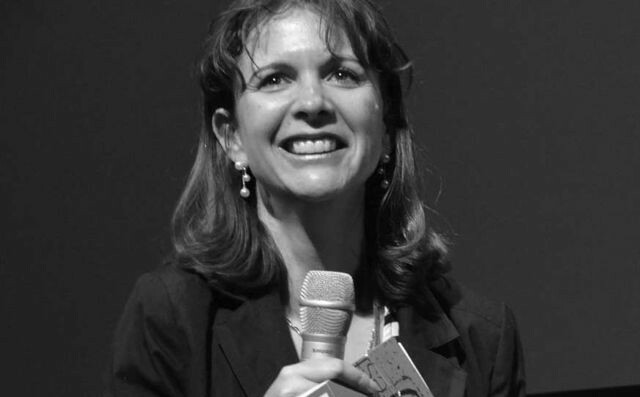 Prior to her tenure at BAMcinématek, she was a founding member and film programmer at Ocularis. Newly appointed Programmer at Large, Jake Perlin, recently co-programmed the “Jean-Luc Godard – The Spirit of the Form” retrospective during the 51st New York Film Festival. In his new position, Perlin will work on several series throughout the year and will also co-program a 2015 retrospective of master filmmaker, Rául Ruiz. He is currently the Executive Director of Artists Public Domain, a nonprofit film production and consultation organization that includes Cinema Conservancy, which preserves and releases works of American Independent Cinema. Perlin is also the Founder and Director of The Film Desk, a distribution company. From 2003 to 2011, he was the Associate Film Curator at BAMcinématek and in 2013, co-programmed the New Yawk New Wave series with Bruce Goldstein at Film Forum, and has organized the film supplement for issues of The Believer magazine, including the 2014 edition featuring the work of John and Faith Hubley. Perlin is a Founding Board member for the Center for Moving Image Arts at Bard College. Fellow Programmer at Large Rachael Rakes, meanwhile, will continue to co-program the annual Art of the Real series, which launched in April, and also focus on events and series specifically connecting the worlds of art and writing with that of cinema. She has worked as a programmer and curator for the past 13 years, most recently as Assistant Curator of Film at the Museum of the Moving Image, and has organized exhibitions, events, and screenings for institutions such as Millennium Film Workshop, UnionDocs, Heliopolis Project Space, 92Y Tribeca, ArteEast, Artists Television Access, Monkeytown, Studio X, and elsewhere. She is currently editor of the film section for The Brooklyn Rail, and writes about art and film for Artforum, Art Papers, BOMB, and Hyperallergic. For the past 14 years, she has also worked in independent book publishing as an editor, publicist, and marketing manager at various presses including Verso Books, The Feminist Press, and AK Press, and independently for small presses and authors.